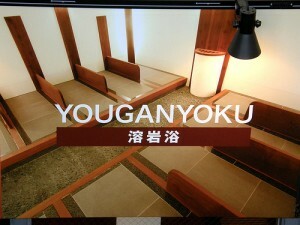 A gan-ban-yoku is a hot stone spa. It’s a bath towel sized stone slab made of granite or silica, and slab is commonly embedded into a hard floor. The bather wears gown or whatever comfortable, and lies on the stone bath. The temperature of the bath is between 40 to 42 degrees centigrade. It’s not so hot but bodies gradually get warm and improve the circulation; therefore, it’s said that gan-ban-yoku has detoxification effect. In Japan, gan-ban-yoku became popular about 5 years ago. Fortunately for women, some hot stones spas provide beauty treatments such as body and facial massages or aromatic massages. Bento Grand Prix Goes Global!